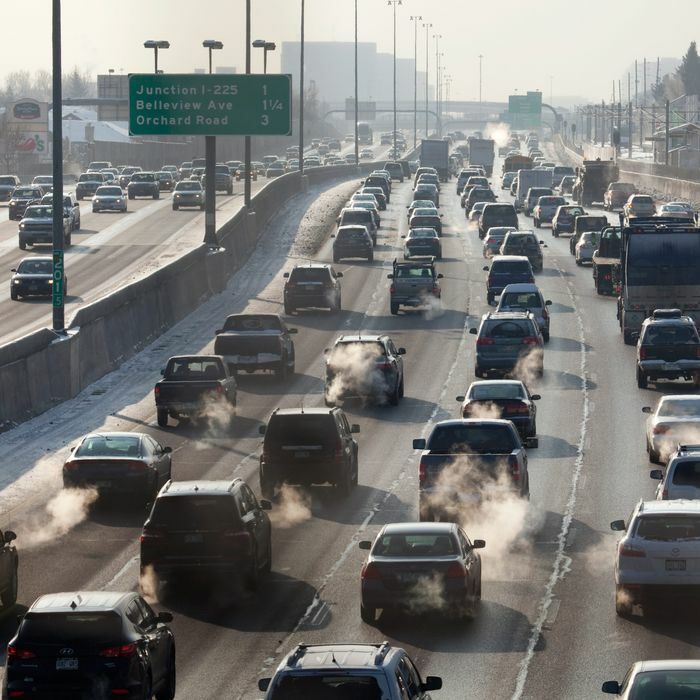 For its latest attack on the environment, the Trump administration is planning to roll back vehicle emissions standards, giving a gift to car manufacturers and crippling a central part of President Obama’s attempt to fight climate change, the New York Times reports. The Corporate Average Fuel Economy, or CAFE, standards call for new cars and trucks to average about 36 miles per gallon by 2025. EPA projections suggest that the rules, if fully implemented, would have a major effect on greenhouse gas emissions, cutting carbon dioxide pollution by 6 billion tons and reducing oil consumption by 12 billion barrels. But the auto industry doesn’t like the rules, and President Trump has made no secret of his own animosity. A year ago, while speaking at an auto plant in Detroit, he announced a review of what he called the “job-crushing” and “industry-killing regulations.” With the rules locked in through 2021, Trump’s EPA, led by the climate-change skeptic Scott Pruitt, is still able to alter to the emissions targets for 2022 through 2025. And next week, at a Chevrolet dealership outside of Washington, Pruitt is expected to announce his intention to do just that. This issue is of particular interest in California, where a waiver to the 1970 Clean Air Act allows the state to set its own air pollution standards that 12 other states also follow. The national standards agreed to during the Obama administration brought the rest of the nation in line with California. If the EPA lowers the federal standards below California’s, car manufactures would face a two-tiered system of emissions rules — one for the majority of country that follows Washington’s rule and one for California and its followers, which make up more than a third of the auto market in the U.S.